Keynote speaker Lucia Robinson-Griggs receives a standing ovation for her speech from the audience, including her parents, Linda Alioto-Robinson and Councillor-at-Large Leo Robinson, and City Manager Tom Ambrosino. The People’s A.M.E. Church, led by the Rev. Dr. Sandra Whitley, and the Chelsea community honored the life of Dr. Martin Luther King Jr. at the annual breakfast and awards ceremony Jan. 21 at Chelsea High School. The Rev. Whitley and the Planning Committee put together another impressive tribute to the late Dr. King, the civil rights leader who dedicated his life to promoting unity and delivered one of American history’s greatest speeches, “I Have A Dream,” on Aug. 28, 1963 in Washington, D.C.
City Manager Tom Ambrosino, State Rep. Dan Ryan, Council President Damali Vidot, Councillors Leo Robinson, Joseph Perlatonda, and Enio Lopez, School Committee Chair Richard Maronski and member Yessenia Alfaro, CBC President Joan Cromwell, Latimer Society Co-Director Ronald Robinson, and Roca Executive Director Molly Baldwin led a slate of dignitaries in attendance at the tribute that featured, singing, dancing, awards, and inspirational speeches. The Chelsea Hub, a network led by the Chelsea Police Department and comprised of 27 different agencies, received the prestigious Spirit Award in recognition of its ongoing efforts to help people facing difficult challenges. 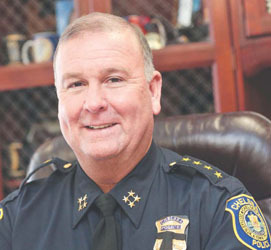 Chelsea Police Chief Brian Kyes, Capt. 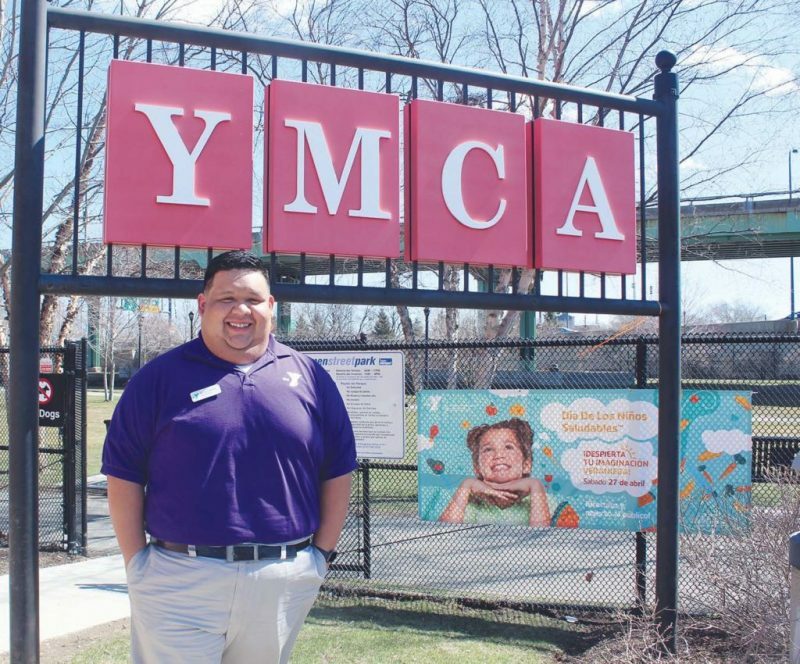 David Batchelor, Officer Sammy Mojica, Community Engagement Specialist Dan Cortez, and Roca Assistant Director Jason Owens were among the award recipients. The highlight of the program arrived when Lucia Robinson-Griggs stepped to the podium and delivered the keynote address. Robinson-Griggs, who holds degrees from Bentley and Lesley and is a former high school and college scholar-athlete, rose to the occasion with a heartfelt and eloquent address to the people of Chelsea. “I’d just like to start by saying thank you so much for inviting me to be here today to celebrate Chelsea while honoring the legacy of Dr. Martin Luther King Jr.,” said Robinson-Griggs, adding that she was honored to be the keynote speaker after receiving the Young Adult Dreamers and Achievers Award in 2018. She encouraged members of the audience to carry on Dr. King’s legacy “even when it isn’t easy to do so.” She said everyone should work for a better Chelsea in the years to come. “So my words today are going to be a charge for the people in this auditorium to reach beyond this room and change the perspective,” said Griggs-Robinson. She singled out the Chelsea High student choir (who performed at Gov. Baker’s inauguration), the Latimer Society (in encouraging careers in STEM), and the award recipients, The Chelsea Hub and others, as being positive influences in the city. She said that people should be positive in their actions and in their interactions with others, that even a small act of kindness or an inspiring phrase or a compliment can have a profound effect on starting to change another person’s life. 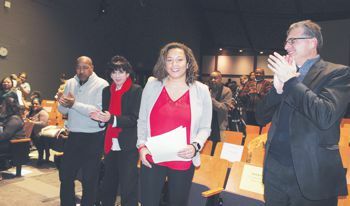 Robinson-Briggs received a warm, standing ovation as she returned to her seat beside her parents, Councillor-at-Large Leo Robinson and Linda Alioto-Robinson, and City Manager Tom Ambrosino in the front row of the auditorium. And in an unsung but important gift to the community, CCCTV Executive Director Robert Bradley and Technical Director Ricky Velez videotaped the entire two-hour program and tribute to Dr. King, including Robinson-Griggs’ remarks, for broadcast on the local television station. This past week, the ZBA (Zoning Board of Appeals) denied a proposal at the old Midas Site (1005 Broadway) submitted by a partnership between Traggorth Companies and TND (The Neighborhood Developers). That proposal was to build another 42 affordable RENTAL units on the corner of Clinton, Eastern Ave and Broadway. At the hearing I spoke in OPPOSITION to the proposal along with other area homeowners. My reason for asking the ZBA not to approve the project was because there has been a long growing sentiment that we as a city, no longer should allow rentals to be built without raising homeownership opportunities to an equal level. Chelsea cannot continue to lose another ownership opportunity to rentals. Right now, 80 percent of our housing stock is rentals, meaning that close to 90 percent of our residents spend their money on rent and are subject to the market forces and whims of a landlord. That is an insane number for a community trying to solve all of the injustices and social ills it has. Mind you, I support affordable housing but it has to be OWNERSHIP, not rentals. The last time affordable condos (with income guidelines and deed restrictions) were built was in 2007. Those two condo projects were Boxworks (by TND) and Keen Artist Lofts (by IBA). Last year only three affordable condos were available for re-sale compared to 180 market condos. As a licensed real estate broker, I have first-hand experience of not being able to find affordable homes in Chelsea for our teachers, police officers, trades people, Logan Airport workers, etc. Our local businesses depend on a working class being nearby. Some may try to paint my advocacy for ownership as self-serving. Real estate agents can earn a commission on rentals too. I am here advocating for the betterment of my community and am using my experience and knowledge to influence policy and discussion. Also, I have been contracted by TND in the past to assist in a purchase of multi-families. I’m pretty sure this position isn’t helpful to my real estate career or relationship with them. Since 2010, we have seen nearly 4,000 apartments built. TND itself has built three large affordable projects along Spencer Avenue. They also built the affordable rentals on Shurtleff Street at former Winnisimmet Club, the Latimer Lewis home on Shawmut Street, and in the Box District on Gerrish Avenue and Highland. This is in addition to the many three-families in Chelsea they have bought which were once the pathway for ownership for the working class in Chelsea. That in no way is helpful to a community trying to make itself vibrant, active, interested and vocal about the going-ons within its community. Homeowners have long been a minority. Our school population reflects this dire situation with the annual entrance and exit of new students/former students numbering in the hundreds. Civic participation and active voting is dismal for a community with a population of 50,000. That’s what those opposing more rentals are encouraging. Additionally, affordable rental units force its tenants to stay poor. In order to qualify, a working class household has to stay under the income guidelines. The incentive is to make less, not more. Conversely, if you buy an affordable home, and you get a raise at work, then it doesn’t matter. You don’t get kicked out. And when you sell, its sold at an affordable rate again. And all the while those 4,000-plus apartments were and are being built, we are losing and lost our working class residents because prices of homes have gone up and there are no new ownerships opportunities being built for them. Chelsea is becoming a city of either rich (by Chelsea Standards) or very poor. No middle working class. A couple making $60,000 to $80,000 combined per year cannot afford to live in Chelsea. Too little income for the market rates at some of the newer buildings while too much income for TND’s apartments. The City Council voted to require new police and firefighters to live in Chelsea (a policy I think is a city budget mistake; more on that later) yet we have no program or policy on how to help them achieve that on their entry level salary. I am on record with having sponsored and supported the Inclusionary Zoning which requires developers to have to include at least 15 percent of building affordable. I am on record with having sponsored the Community Preservation Act order that placed it on the ballot in 2016, and campaigned for its passage to the voters of Chelsea. The voters overwhelmingly supported it. Last week, under the order request from Councilor Leo Robinson, the City Council met with Executive Director Helen Zucco and her staff from Chelsea Restoration. Chelsea Restoration is the other (apparently forgotten or unknown by some Chelsea activists) longest serving non-profit agency that has both built affordable home ownership housing and has graduated thousands of Chelsea Residents from their First Time Home Buyer Courses. It reminded my colleagues and informed our new city manager both what has been done and what has to be done with some of funding sources from the CPA and with support from the City. The CPA funds should be used for supporting our current working class residents and city employees on increasing the down payment assistance provide by Chelsea Restoration and local banks for first time home buyers course graduates. If my Colleagues and the community advocates really feel strongly about our City employees living here, then support added down payment assistance for them with CPA funds. If TND says there is no state funding for non-profits to build affordable ownership, then support the private condo developments that include affordable units. The City should bring back its problem property program that takes over abandoned dilapidated properties with CPA funding and sets up an agency like Chelsea Restoration as a receiver to rehab and sell as an affordable home to first time homebuyers. I am willing to get together with TND and take them up on their executive director’s offer to discuss creating ownership opportunities. I will work with them to look at their portfolio of 49 properties…and offer some of those three-families to their renter occupants as an affordable purchase. We can require them take the Chelsea Restoration home buying course, get down payment assistance and along with TND’s financial literacy training create a stable owner occupant while charging affordable rent to the other two units. Or, convert those three families to three affordable condos. Some of those properties have been owned by TND for more than 20 years now and were bought at a low value. They can surely sell it very low. Let’s sit down and take another look at the Midas site and the undisclosed purchase price Taggart agreed to and see if now, you cannot go back to the seller and get a lower price to support 42 condo units with 50 percent being affordable. Let’s look again at the Seidman Property that TND has under agreement on Sixth Street, and instead of making plans again for more apartments, let’s sit down and try to run the numbers as condos with a 50 percent affordable rate. That property had previously been under agreement with a private developer. That proposal was to have 60 condo units with 20 percent affordable. Surely, if we sit down with TND and housing advocates and experts and look at the numbers we can do better than 20 percent affordable by a private non-subsidized developer. I mean if there is no profit needed…we can make it at least 50 percent affordable can’t we? While TND continues to try to buy the former Boston Hides and Furs site, keep in mind that you will have to build condos, not apartments. That should help you negotiate a workable purchase price. It wasn’t a sad day when the ZBA said ‘no’ to TND’s proposal. It was, I hope, a watershed moment for the city’s beleaguered homeowners who have said enough is enough. It’s been sad in Chelsea for a long time now…ever since we became a super-majority city of renters.